The garage door was not wanting to go back down, so I manually put it down by unhooking it so I could look and see if there were any issues. Turned out to be the usual: the sensors for obstacle detection were dirty. Anyway, once I got the door working, I had to take this photo. 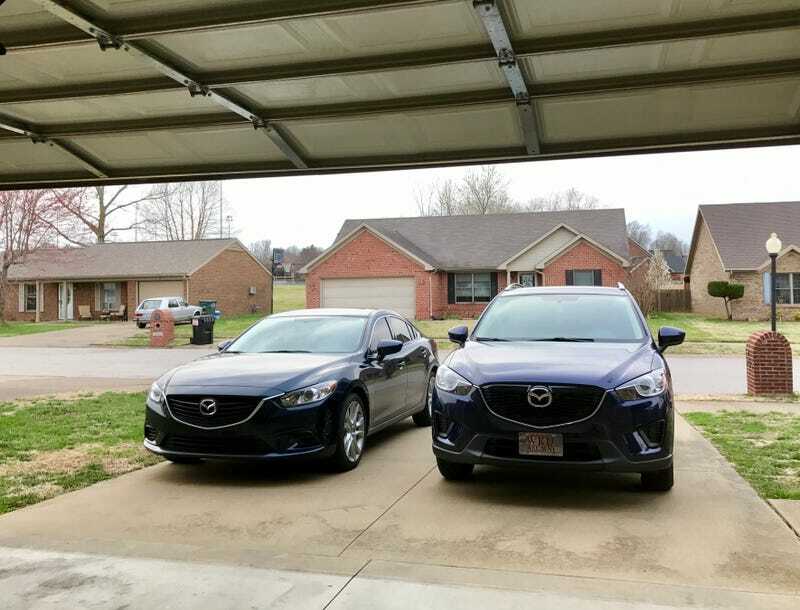 Very rarely are both cars outside at once.